Back in the 1700’s and the 1800’s it was a common custom for attendees to pay for a pew to be placed in the church which they attended for their exclusive use. Often they had a small plaque fastened to the seat next to the aisle so no one could mistake ownership. Alternately, because of the generous givings of certain parishioners, these prestigious attenders could also claim the “best seats in the house”. In this case it was not always known which pews were “rented”, and the uninformed would make the mistake of easing into the wrong pew. They were simply asked to find another seat. Over the years a number of hockey players have been guilty of being in the “right church, but the wrong pew”, having entered the venues of their opponents by mistake. Our first peek into such an embarrassing faux pas takes us back to 1927. Jimmy “Sailor” Herbert, who played 207 games in the NHL, was somewhat of an enigma. It was said “he was a great player when he is going right.” It takes a bag full of C’s to cover the plethora of adjectives to describe him. He was referred to as a “crack forward”, a “coveted player”, “clever and rugged”, “colourful”, a “character”, and with a “caustic disposition”. He was fourth in the 1925-26 NHL points parade. But his drinking and irritating manner, coupled with a drastic drop in production, prompted Boston manager Art Ross the shop him around. His positive press clipping caused Conn Smythe to put in a bid for his services at $12,500. Ross had made the pretense of helping the lagging Leafs with a “colourful player”, and favoured the offer over others—and so he was moved to Toronto during the 1927-28 campaign. His debut did not go well. He stepped onto ice, caught his skate on the ice, and fell flat on his face. But worse—he got up and promptly skated over to line up with the visiting Chicago Blackhawks. Right church (the Gardens). Wrong pew (the opponents). Noel Picard was one of the many pay-for-play skaters who benefited from the NHL’s major expansion in 1967. 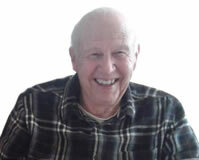 He was chosen by the St. Louis Blues, which freed him from riding the buses in the minors. Early in that initial campaign the Missouri sextet was pitted against the Boston Bruins. Perhaps still a bit nervous about his promotion to the Big Time, he seemingly lost his concentration as he headed for a rest at the end of a shift. Because it was the Bruin’s bench where he ended up. The Beantown trainer good naturedly waved him in and he sat down on the pines. Suddenly he woke up and realized where he was—and panicked! With his coach, Scotty Bowman, glaring at him he leaped over the boards and headed for the friendly confines of home. But the referee spied his move and gave his team a penalty for too many men on the ice. But it was a check handed out by Larry Robinson which best fits with the theme of this missive. Carrying the puck against the Canadiens, he lost it in his skates. He kicked it up to his stick and shoveled it through the “Big Bird’s” feet to Darryl Sittler. It was then, he recalls, that “the truck hit me”. Half dazed he crawled toward the boards, and tried to get into the player’s box. But no one would open the gate. Just then Sittler, who had scored on the play, helped him up and pointed him in the right direction. He had been trying to get into Montreal’s bench. Lanny McDonald, Noel Picard and Scott Stevens made that ill-advised choice under their own steam. But Bryan Helmer’s ignoring the unwritten “do not enter” sign emanates a little different spin. In 2002 the surprising Vancouver Canucks, second-place finishers in the Northwest Division (94 points), were pitted against the entire league’s top-finishing Red Wings (116 points). The first-round series opened in the Motor City, with the visitors catching the hosts with their shin guards down, winning the first two contests. The press focused on the stellar goalkeeping of Dan Cloutier in the Canucks net, and the somewhat inferior display by the highly-touted Dominik Hasek in the Wing’s cage. But an on-the-spot photographer spied an incidental moment. Kirk Maltby was caught cross-checking Helmer into the Detroit bench right through the open gate. In this case the “wrong pew” cost the aggressor a two-minute penalty. But the academy award for this kind of shinny blunder must be awarded, not to a player, but a coach—in fact two coaches, who combined for a dual laugher about this piece of arena furniture, not soon to be forgotten. In the inaugural season of the WHA, Marcel Pronovost was piloting the Chicago Cougars, and Bill Dineen was mentoring the Houston Aeros. 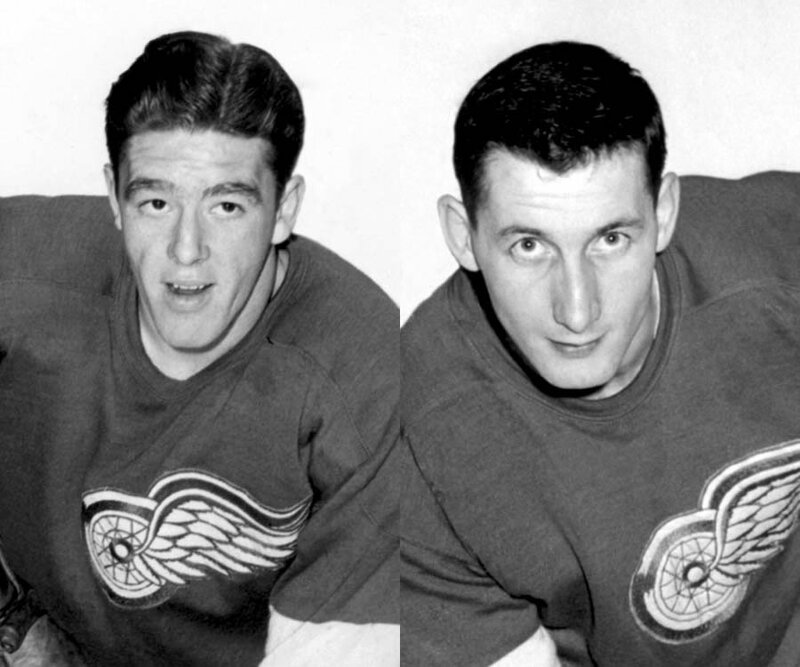 Perhaps they were distracted by the fact that when the two teams met for a scheduled match they had gone out for lunch together, reminiscing about their playing days together with the Red Wings. The National Anthem had been played previous to the start of the first period, and players were skating back to their respective benches. Suddenly they started exchanging quizzical glances. Dineen was standing behind the row of Windy City skaters shouting instructions, and Pronovost was doing the same at the Texas venue. Amazingly these bench bosses had gone to the wrong spots. It was the task of Larry Cahan, who sported the “C” with the Cougars, who was designated to inform the two coaches that they were with the wrong sextets. There are a number of incidents which involve not only the wrong “pew” but the wrong “church”. For instance, the Red Wings were on Long Island to play a game against the Islanders, and had scheduled a practice previous to the meeting. The arrangement was for them to have their workout at the Cantiague Park, where the home team held their practices. But the bus driver took them to a bocce ball court, where there happened to be a rink—but it was still under construction. So it was a case of “back to the drawing board”. After one half hour of retracing their steps they finally arrived at the intended destination. It was almost two decades later that a repeat performance took place—but this time by an individual player. Mark Parrish was just a rookie with the Florida Panthers at the time. The team had played against the Sens the night before, but had a scheduled practice just the same. The Cats were staying at the downtown Westin Hotel, and Parrish had somehow managed to miss the team bus on its way for the workout. So he hired a cab to drive him to the Corel Centre. Alas, the practice was actually at the Civic Centre. Had he been aware, he could have walked less than ½ hour to the rink. Instead, it was ½ hour drive. So, by the time he realized his mistake, and cabbed to the correct location, he was quite late for the on-ice session. Coach Terry Murray was not amused, and benched him for the next game. Seems it was his third “late-for-practice” scratch from active duty. This wrong place at the wrong time seems to have various shades of genre. Rick Tocchet’s boo boo as a Philly rookie was so embarrassing that he didn’t even tell his teammates about it. It was during the pre-season exhibition contests in 1984 that he made a glaring error. Obviously transportation must have been only local because he confessed that after a game against the Bruins he got on the wrong bus. The gang from the Hub gave him a whole bowl full of raspberries. 1985 Kevin Stevens was starring for Boston College. With a red face he remembers going to the wrong room. By the time he got his bearings. He realized that he had seated himself with the wrong team for the noon meal. A different spin on transportation involved the one and only Claude Lemieux in 1990. Again it was the Bruin’s vehicle into which an apparent uninvited guest ventured. Many of the Hub sextet did a double take when he climbed aboard their flight to Montreal. Even though it was quickly explained that he had been given time off by New Jersey to settle business, he was not given the warmest of welcomes. In fact he was “assigned” a seat at the back of the plane. Later he moved up when his friend, Ray Bourque, intervened on his behalf. completing a two-game route of the Tucson Rustlers. The scores were 12-2 and 11-5. One of the members of the humiliated squad was William Trognitz, whose nickname was “Wild Willie”. He had given specific instructions that if the P.A. announcer had occasion to herald his name, it was to be “in full”—“Wild Willie”. But when he was given a penalty, it was awarded to “Wee Willie” instead. He blew a fuse. He jumped out of the sin bin and promptly fired three pucks in rapid succession at what he thought was the P.A. booth. Instead he had aimed it at the Flyers’ press box! The closest that any puckster actually came to a “church” when he had a mental lapse, was another kind of building—a house. Wayne Gretzky likes to tell the tale about his roommate, Garnet “Ace” Bailey. While with the WHA Edmonton Oilers, he had rented a house through the team, but hadn’t seen it yet. The night he was to move in he finally went to inspect it. But the key wouldn’t work in the lock. He tried to spring the garage door, while “Cowboy” Flett was attempting to get in through the skylight. Just then the police showed up. It turns out it was the wrong house. The old couple who owned it were huddled together in the living room wondering who was trying to break in. He didn’t. But as in the aforementioned expose—many did!